which are powered by two independent batteries. This SMART HD SWITCH is designed in a way that eliminates few common problems that shows up in this type of devices. This switch has a functionality of continuous load balancing and sharing between the two batteries. 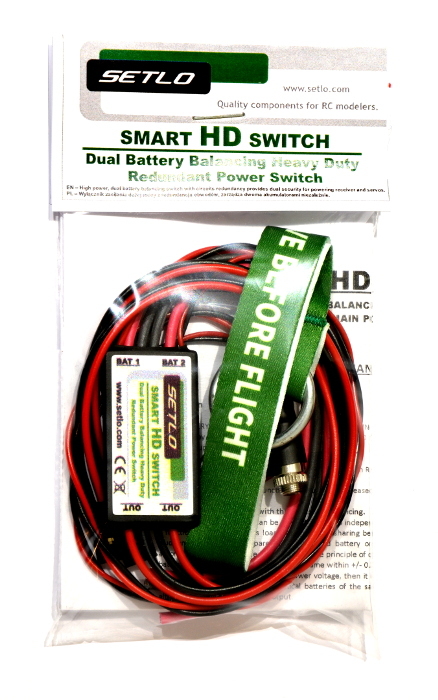 If one of the battery is defective (sudden voltage drop compared to the second battery or significantly reduced capacity), SMART HD SWITCH will automatically disconnect the faulty battery. 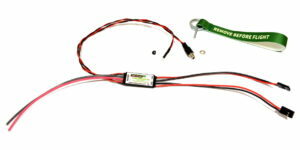 The principle of operation is based on continuous voltage monitoring of both batteries. If both batteries voltage are the same within +/- 0.2V then the two batteries are loaded and supply the output device. 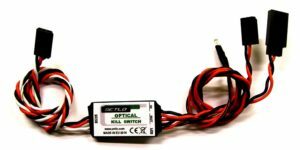 However, if one battery has a lower voltage, then it is automatically ignored until again both batteries will have equal voltage. 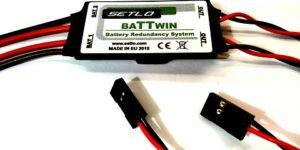 As a result, two identical batteries of the same capacity will be discharged equally, simultaneously or alternately giving energy to the output. 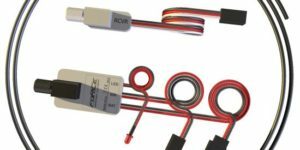 This switch has a fantastic ultra small footprint of socket where Safety Pin-Flag is placed to turn OFF the switch, will surely find its followers among the RC scale modelers. 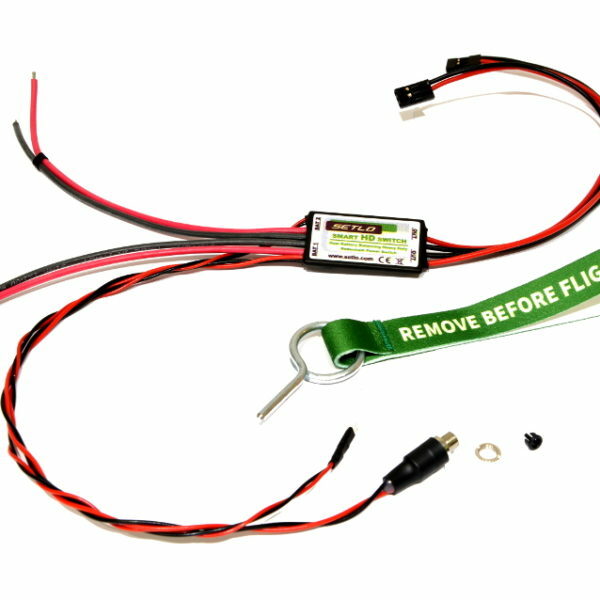 When installed and ready to fly it has no protruding parts of the switch, or those which can accidentally turn OFF the power supply as a result of being caught by the high grass or accidental touching by a hand or a garment. 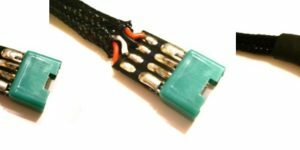 Appropriate length of Safety Pin-Flag also allows to install the slot under a fuselage laminate or plastic cover so that the only trace of switch presence in this place is a 3.5mm hole. 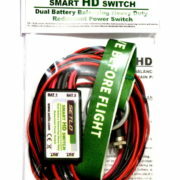 SMART HD SWITCH switch is real Heavy Duty device, it allows to switch voltages up to 28V with current load up to 25 Amps. That gives the maximum power capability equal to 700W. 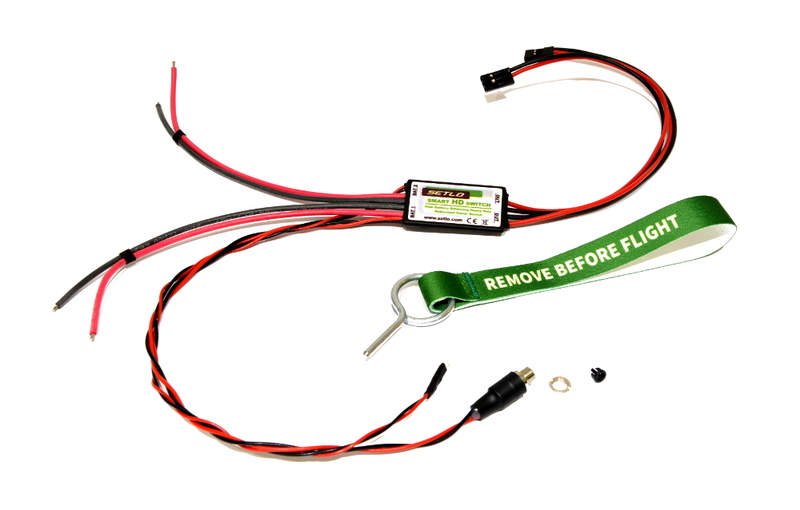 SMART HD SWITCH significantly reduces the risk of a power failure in RC model. 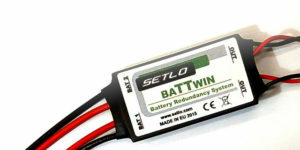 Supports two independent batteries with their constant balancing. 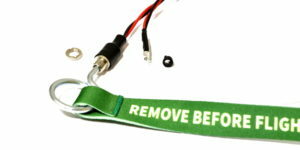 Immunity to damage or short-circuit of one battery. 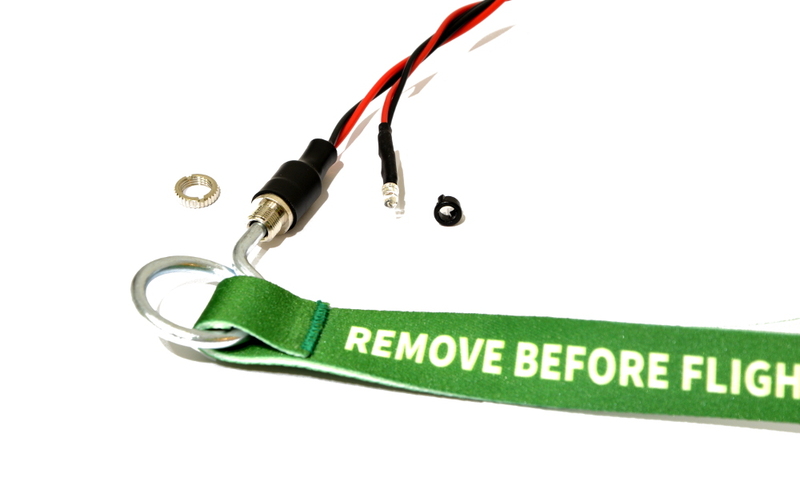 Immunity in case of open circuit of one battery. In case of failure of two batteries, the output is powered by a stronger one. No risk of switch failure due to model vibration caused by a gas engine. 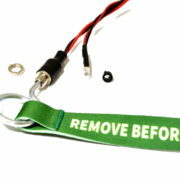 Eliminated the risk of power lose due to safety pin-flag slot wire failures. Zero voltage drop across the switch. No heat dissipation on the switch. 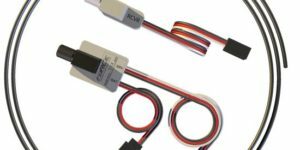 Dual output wires for powering the receiver, servos, etc. (redundancy). 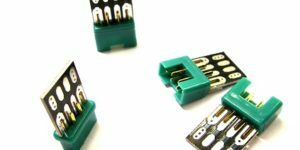 Ultra small footprint of safety pin-flag socket. Bright LED for operating status. Wide range of supply voltage. No need to disconnect the battery from the switch. NO NEED TO DISCONNECT BATTERY!